My sister and I did 2 of Nefis VIP trips and highly recommend them. the 2 guides were so knowledgeable and entertaining. we hsd Mariska for the Blue Caves and Shipwreck Beach. we had Jackie for the Back to the Roots trip. She has a great singing voice by the way. We went this September and had wonderful weather for the trips. Well done Nefis for two very interesting tours. We didn't get bored for one moment. Na vele jaren vakantie op Zakynthos, eindelijk DE organisatie gevonden voor unieke dagtochtjes. Nefis Travel biedt excursies die je bij de anderen niet vindt ... en voor een goede prijs (ook belangrijk) Vorig jaar 2 excursies gedaan. Gisteren de vakantie weer geboekt en nu op de website van Nefis al aan het kijken wat we dit jaar willen gaan doen. Super! Super! Na vele jaren vakantie op Zakynthos, hebben we eindelijk DE organisatie gevonden die unieke dagtochtjes aanbiedt. ... en niet te duur (ook belangrijk). Afgelopen zomer hebben we 2 excursies gedaan. 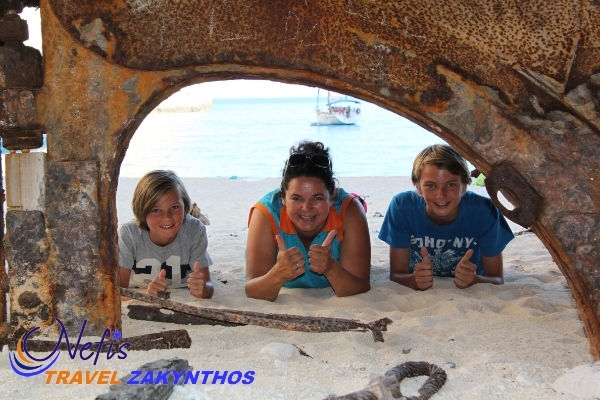 De vakantie is inmiddels weer geboekt en ik ben op de website van Nefis al aan het kijken wat we dit jaar willen gaan doen.
. Iwent to Zante the 1st two weeks of June and went on the Nefis Travel back to the roots tour.I thought it was a brilliant tour.I have been to Zante many times but I learnt so much more and saw so much of this beautiful island.Jackie is a great guide and the whole day was so informative and enjoyable.This tour is a must for everyone. Zante is a beautiful island and the best way i found to explore this island was to go on NEFIS TRAVEL V.I.P.TOURS.They have trips to the shipwreck,keri turtle spotting,and bus trip Back to the roots plus many more,The thing i liked best was that the trips only have small no of people on them so its more personal.Jackie Boots is an excellant tour guide,the amount of knowledge jackie knows about the island,is just unbelievable,Iwould recommend all the tours to anybody that would like to see the island.Certanly a holiday to remember,thanks to jackie and here team.for such wonderful tours,Iwill definetly be going back to zante,going on NEFIS TRAVEL TOURS. One thing you will learn from Jackie is that this Island is called Zakynthos not Zante, unfortuantely most of the UK travel brochures still list the Island as Zante. 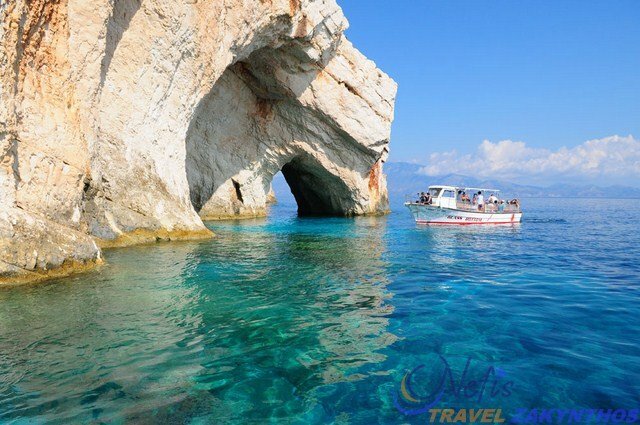 We took two trips with Nefis travel while on holiday . Back to the roots was really good you get to visit all the real greek delights on the island the museum we visited was charming and the little taverna that we stopped at for lunch was lovely and so out of the way you would'nt no its there if they did'nt take you . well worth it . We also took the shipwreck tour which was also very good Jackie was so friendly and seemed tn know everything there was to know about the island . Jackie, thank you very much for your assistance and the tours through our wonderful Zakynthos! Thank you from your kind help throuhg email, while I was still in Brazil, in order to arrange the flights booking with Zakyta, your suggestions for accomodation and so on. 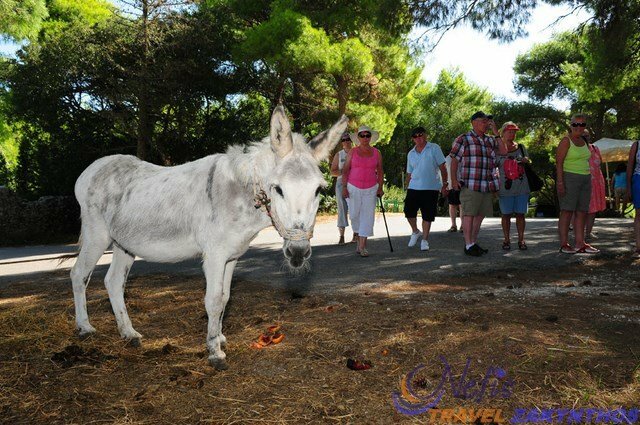 We really enjoyed your VIP Back to the Roots through the Island, lots of historical information from Zakynthos, nature, fantastic food at that Taverna!!! The Beef Ragout was outstanding!!! Please thank that beloved lady once again for me! And congratulations also for being an adorable singer! We enjoyed your show!!! Let us know here in Brazil when you will record your cd!!! That first slow song you sang alone in the beggining keeps crossing my mind from time to time. Really beautiful! Can you tell me its name? The up view for the Navagio Beach (shipwreck) is breath taking!!! The most beautiful place I have ever been to. My Mom is also sending you her regards! 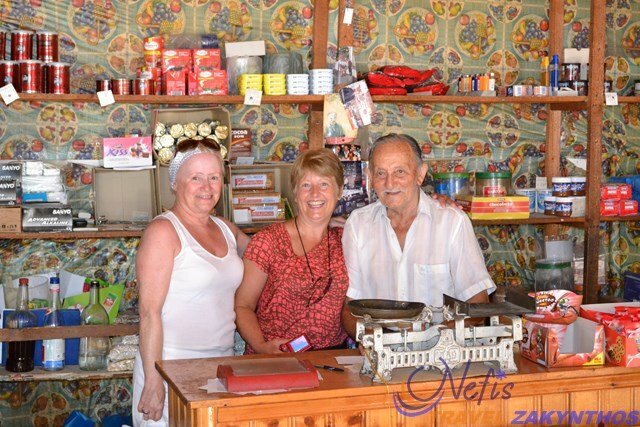 My Husband and I have experince 2 trips with Jackie and her team at Nefis Travel. we did the full day look for turtles and we had a amazing time this was in May 2010 and in May 09 went to the shipwreck and Blue Caves. What Jackie and her team does know about Greek Mythology isn't worth knowing. Sadly will will not be seeing you this year. We, Dutch familly, two children 11 and 13 years old, dad, mum, and grandparents went on the VIP tour with Jackie last summer, August 2010. We have been to lovely places, away from the crowd so it makes you feel special. Also Jackie knows a lot about the history of the Isle. The children also loved it, Jackie also speaks German and Dutch so they had no problem when Jackie told the old Greek sagas. They still talk about it! We have really enjoyed the trip. Jackie takes you to a hidden taverna where you can eat real traditional meals under the grapeleaves and with a cool drink in your hand and life music as Jackie knows a lot of traditional songs wich she sings together with the owner of the taverna. Our favorite by far is the song Nefeli. We did'nt stayed in Tsilivi but in Agios Sostis. No problem for Jackie! She just pickes you up wherever you stay. myself with my two young girls and two nieces did Jackie's VIP back to the roots tour with Nefis travel oct 2010, well what can I say? It was fantastic, Jackie you were great at giving us the insight to the Greek mathology and this impressed Sherridan my youngest as she is so passionate about history and the Greek Gods so to get an 8yr old listening was brill. We walked through small villages where Jackie was going into the history and then when we had lunch we stopped at a lovely small traverna where it was just our small group of 18, Jackie and the owner sang traditional Greek folk songs with the guitar which was so lovely and the food was great. If anyone goes to Tsilivi next year they should go to Nefis travel around the corner from Popeyes towards Tom and Johns and book her trips as you will have the most enjoyable trips and as they are not so many people it it more personal and she has time to talk to everyone. Jackie you were amazing with your knowledge of the Island and I really hope to see you in the next year or so to do Kefalonia. 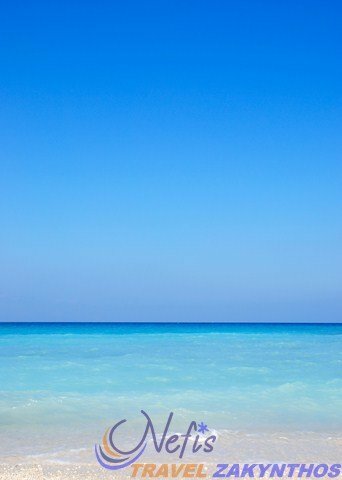 Nefis travel is simply the best!! !